2. Tap to select Voicemail to continue. 3. To set up an account, simply follow the on-screen prompts. The process is actually similar to a traditional Voicemail setup. As soon as your phone is activated, your voicemail and personal greeting have to be set up. All unanswered calls should automatically be transferred to your voicemail even if the phone is not ON. Carriers often recommend a use of passsword when setting up your voicemail to protect voicemail messages against any unauthorized access. 2. Tap on the Voicemail icon to continue. 3. Touch to select Personalize now and follow the on-screen prompts to get the next steps done. 4. As part of standard voicemail, create a password. 5. Record your name announcement. 1. Tap on the Phone menu/icon from the Home screen. If your device's screen is locked, just press the Power/Lock key to turn the display ON and then swipe your screen in any direction. 3. Follow the on-screen prompts to complete the following steps. 4. Create a password for your voicemail messages, record your preferred name announcement and then finally, record your greeting. 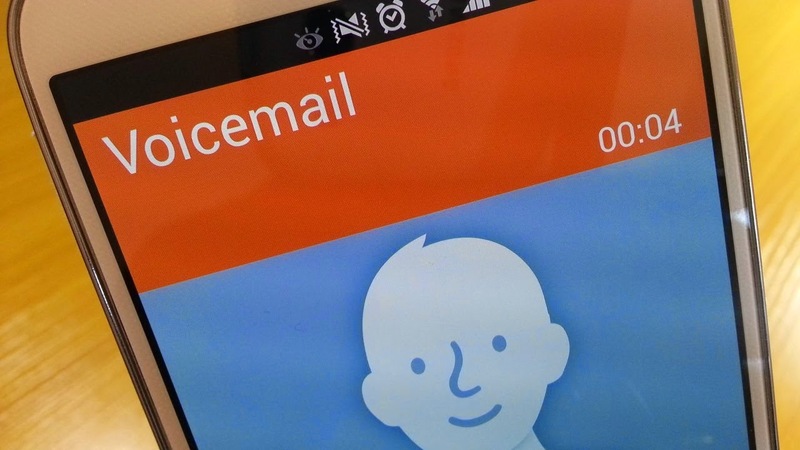 Visual Voicemail is a new feature that periodically goes out to your voicemail. It collects the caller information from all the current voicemails. Afterwards, it will populate a list that comprises the name and number of the caller, along with the time duration and priority level of the voicemail message.